The Town Council is now accepting applications for requests to be considered for the Council seat that is vacant due to the recent passing of Council Member Jackie Johns. The term for this vacant seat expires Dec. 2, 2019. Here is a link to the application. * Please read the text at the top of the application to learn what materials are needed for a complete application submission. * To save a pdf of your filled-out form, choose Print then save the document as a pdf to your desktop. The deadline for applications is Thursday, Feb. 21 at 5 p.m. Completed and signed applications and accompanying materials can be emailed to Town Clerk Stella Gibson at sgibson@garnernc.gov; hand delivered to Ms. Gibson on the second floor of Town Hall, 900 7th Ave.; or mailed to her at Town of Garner, Clerk's Office, 900 7th Ave., Garner, NC 27529. If you are having trouble with the link or the fillable form, would like a hard copy of the form or have other questions, please contact Ms. Gibson at sgibson@garnernc.gov or at (919) 773-4406. Council members act as the liaisons between the Town and the general public. They serve on the municipal legislative body that deliberates over matters that affect the Town of Garner. The primary duties of a Council member include attending Council meetings, setting policy, adopting a budget, enacting ordinances, long-range planning and approving development permits. 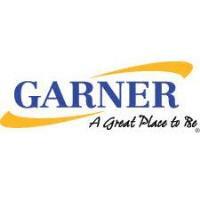 The Town of Garner has two regular Council meetings and one work session per month, and other meetings as required. Council members frequently attend special events that are sponsored by the Town and others. The Town of Garner is a Council-manager form of government in which the Council appoints a professional manager to manage the day-to-day activities of the Town.